Digital marketing services agency Quasar's head of brand and media solutions Sandeep Singh has exited the firm to set up his own company. Singh is one of India's first generation entrepreneurs and appears to be making a comeback. He set up a local youth portal called Yankeedelhi.com in 1999 but the website shut down in 2002 after the dot com bust. According to AlooTechie, Singh is now establishing a start-up in the e-commerce domain. In 2009, Quasar, a joint venture between Smile Interactive Technology Group and WPP Digital, set up three divisions - Brand and Media Solutions, Technology and Web Solutions and International Business. Singh, who was part of the founding team at Quasar since 2005, was chosen to lead the brand and media solutions team where he focused on building capabilities and growing inorganically. He was based in New Delhi, and regional heads in West, North and South reported into him. 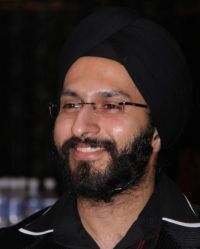 Prior to joining Quasar in 2005, Singh was employed at one of India's oldest Internet firms Rediff.com in the media sales team.